Your hips allow you to walk, run, sit, squat, kneel, and perform many of your daily activities. Within your hip, you have ligaments that help provide stability in movement and bones that provide structural support. If you injure these ligaments or bones, you may lose normal mobility and may also experience pain and swelling. Healthy hips are vital to an active lifestyle.Your hips allow you to walk, run, sit, squat, kneel, and perform many of your daily activities. Within your hip, you have ligaments that help provide stability in movement and bones that provide structural support. If you injure these ligaments or bones, you may lose normal mobility and may also experience pain and swelling. Healthy hips are vital to an active lifestyle. Healthy hips provide optimum leg movement, but when the hip is injured, it can greatly hinder the body’s flexibility. Your hip is the largest weight bearing joint in the body. Visit your Rockwall hip specialist for an expert evaluation. The first step is to have your hip evaluated by a physician. The physician will consider your symptoms and conduct a physical exam to evaluate your hip’s strength, stability, and range-of-motion. X-rays, MRIs (Magnetic Resonance Imaging), and additional tests may be required to show internal injuries. Based on your examination, your physician will let you know if surgery is necessary or if exercise (whether at home or through an external physical therapy facility) would suffice to improve your hip’s function. Your physician may instruct you to ice your hip. Ice your hip at least 3-5 times a day for 20 minute intervals. At the same time, your physician may prescribe medications to aide in your recovery and ease your pain. Physical therapy and/or home exercise may be suggested by your physician. These exercises are designed to slowly strengthen your knee and increase its range of motion. The speediness of your recovery will greatly depend on how dedicated you are to following your physician’s recommendations. Your physician may suggest cortisone injections to reduce inflammation. Some patients may only require one injection, while others may need additional injections to relieve pain and inflammation. Total hip replacement can benefit patients who suffer from a variety of hip problems, including injury and disease. Not all hip problems require hip replacement surgery, and your physician can help determine if the surgery is right for you. Joint replacement is done only after other treatments have failed to improve your condition. 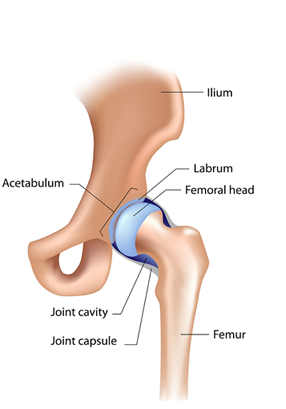 Hip fractures can be very serious and generally effect elderly men and women. While recovery is generally slow, patients can regain their health with the right care. Your physician will need to reposition the fracture. This may be accomplished with surgery, in which the surgeon would hold the bones in place with an internal device such as pins and surgical screws. Your physician will evaluate your condition to determine if you are a good candidate for hip surgery. In some cases, physical therapy and exercise therapy may improve your condition without requiring surgery. Are you suffering from hip pain? Lake Pointe Orthopaedics offers surgical and non-surgical treatment options to alleviate your pain!